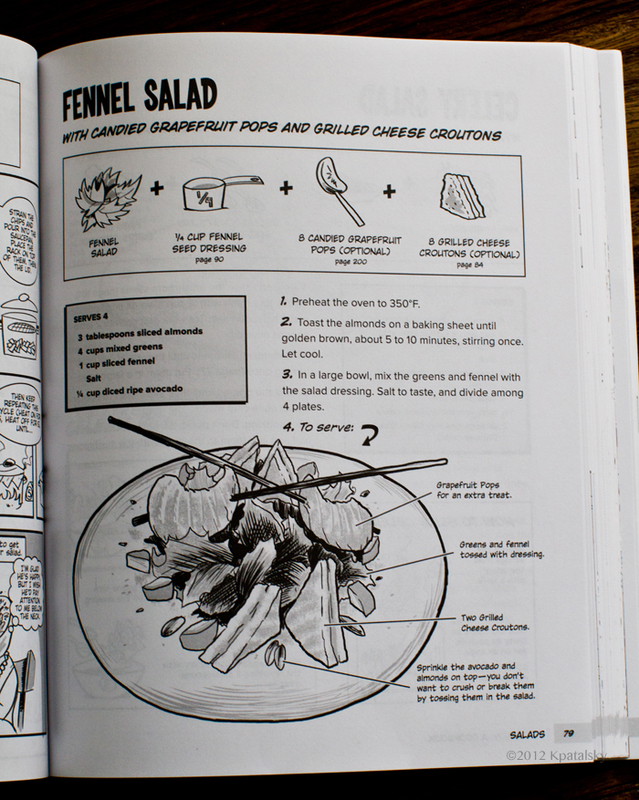 My afternoon consisted of making + eating an amazing "Fennel Salad + Candied Grapefruit Skewers + Vegan Grilled Cheese Croutons" - paired with giggling my way through Chef Amanda Cohen's first cookbook, "Dirt Candy. A Cookbook." I didn't get a stitch of 'real' work done and loved every second of it. You have to do this too! Giveaway + book review ahead.. Shoot. I totally just spent my entire afternoon not-working. 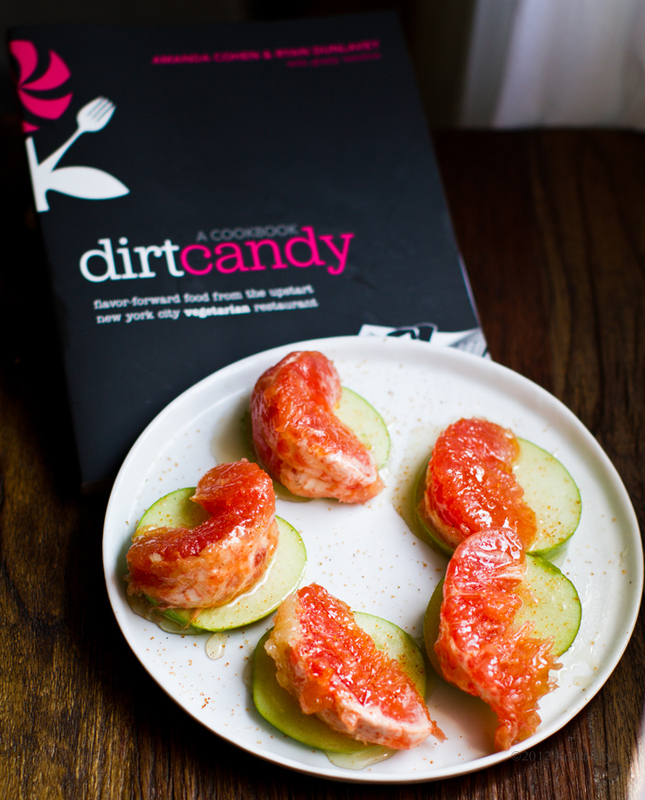 Instead, I was reading the Dirt Candy cookbook and playing in the kitchen. This is significant because most of my kitchen time is spent crafting and tweaking my own recipes to share with you guys. So the fact that I was in 'using a cookbook' mode meant that I was totally inspired. * The pages are in black and white. Yup - NO PHOTOGRAPHS at all. No color. And I still loved it. Crazy. My Review. 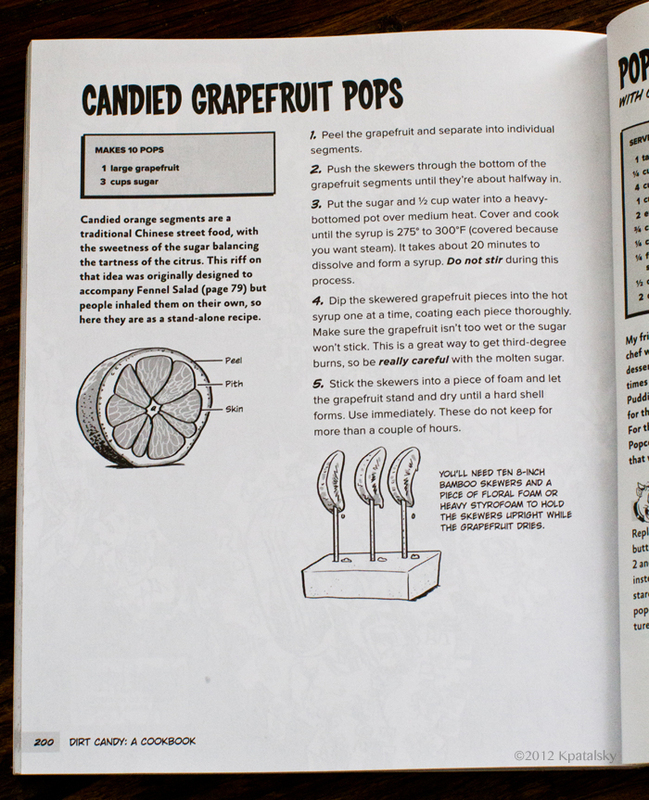 The Dirt Candy Cookbook is part recipe-infused resource - part totally-entertaining-read comic book. The main character: Chef Amanda. 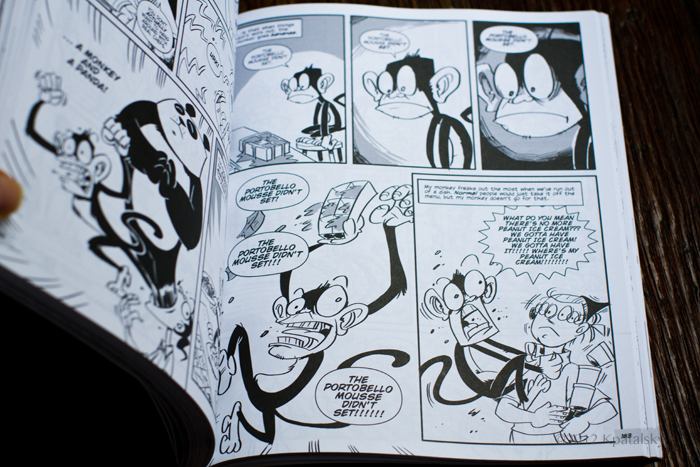 Plus some side kick characters too including her trusty staff, and her monkey + panda kitchen-alter-egos. Recipes including Portobello Mousse, Popcorn Pudding, Hush Puppies, Stone-Ground Grits, Nanaimo Bars, Candied Grapefruit Pops, Carrot Risotto and many more. These are the same recipes Amanda serves in her NYC restaurant (which I have been to more than once and absolutely adore.) DC Restaurant Review 1 and 2. This book is such a joy to read I simply couldn't put it down. And you don't have to read it front to back. 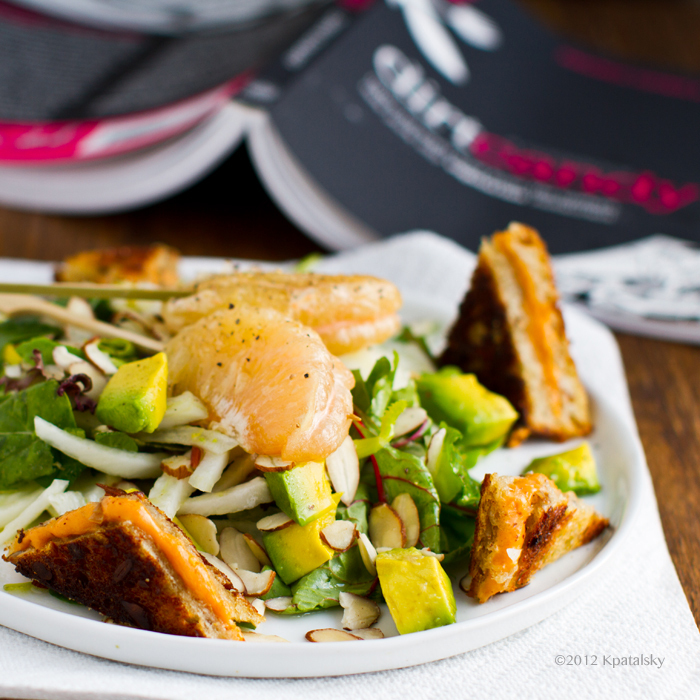 Actually, you don't even have to cook a single thing to enjoy this book! The stories are reason enough to take a peek. 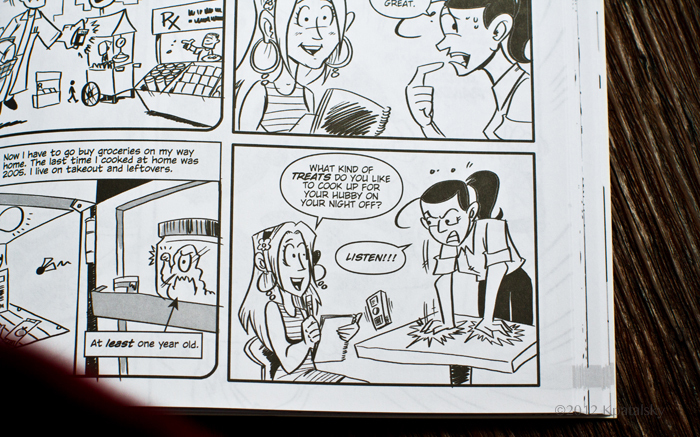 The comics are drawn by Ryan Dunlavey - he does an excellent job of turning kitchen fodder into cute + funny + smart + sarcastic comics. I didn't even miss photos. The illustrations provide enough visual stimulation. Side note. Amanda was one of my Veggie Girl Power ladies a few years back Read her interview here. 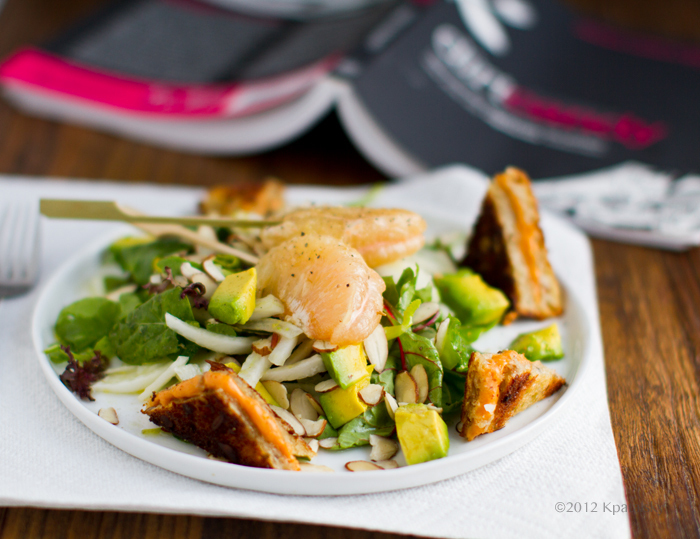 And to complete my review I HAD to try a recipe..
Fennel Salad + Grapefruit Skewers. I've had this recipe in Amanda's restaurant and adore it. So I was excited to try it at home! 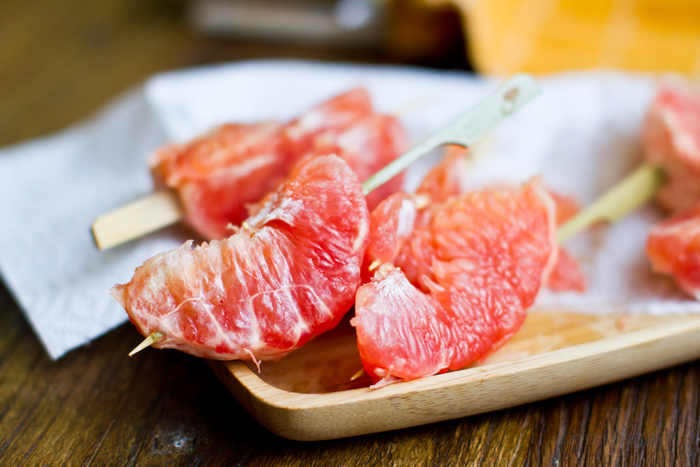 I haven't perfected the grapefruit skewers quite yet. But my first pink batch came out pretty well - and my second batch was OK, but a little watery. I served them as a light bite and over top the Fennel Salad. 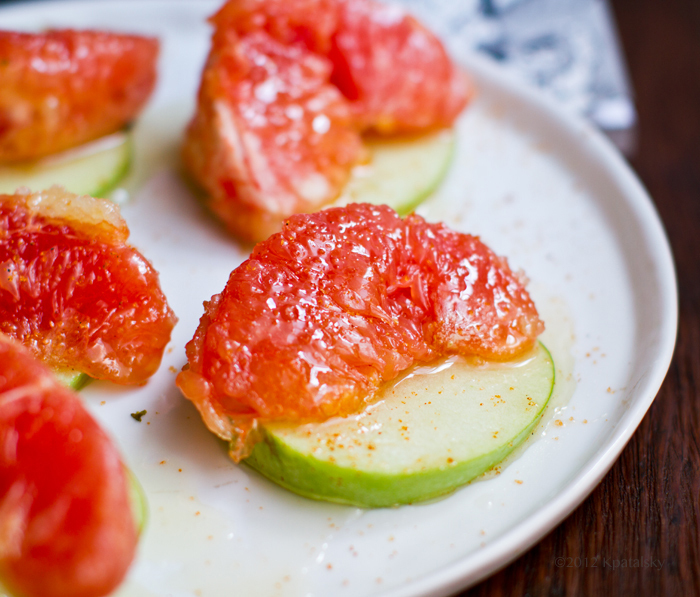 For the light bite, I plated the grapefruit on green apple slices with some Penzey's Spices 4/s sweet chili salt sprinkled on top. The Fennel Salad was just so good. 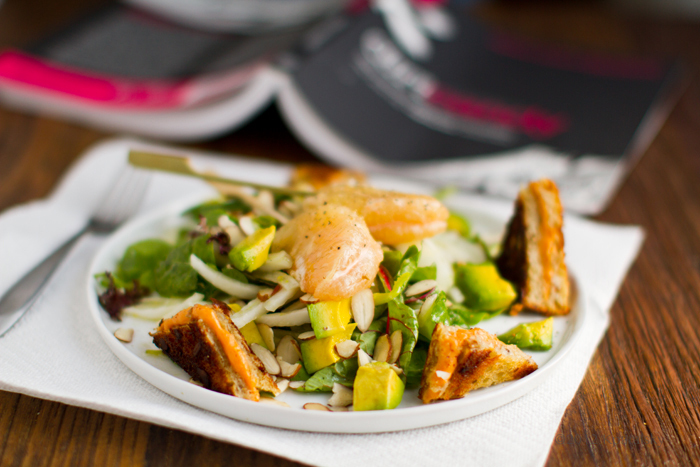 Avocado + almonds + fennel+ mixed greens + Amanda's fennel dressing + grapefruit skewers. 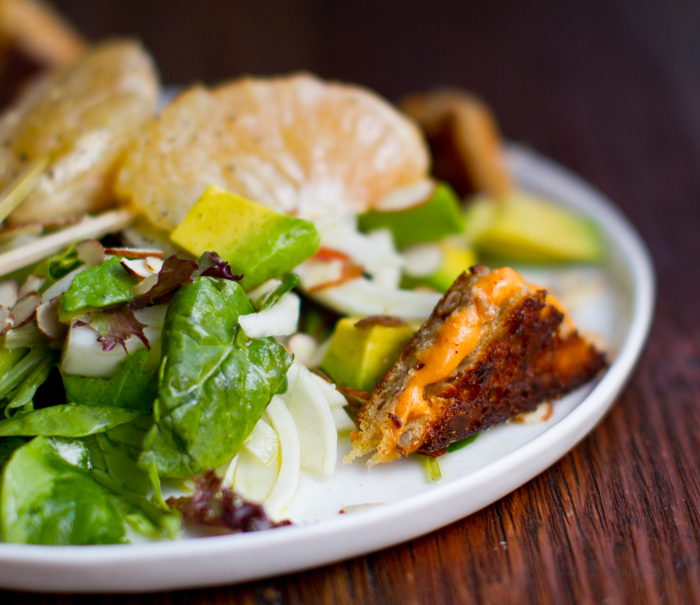 Oh and the genius garnish: grilled cheese croutons. I used Daiya cheese. Vegetarian. 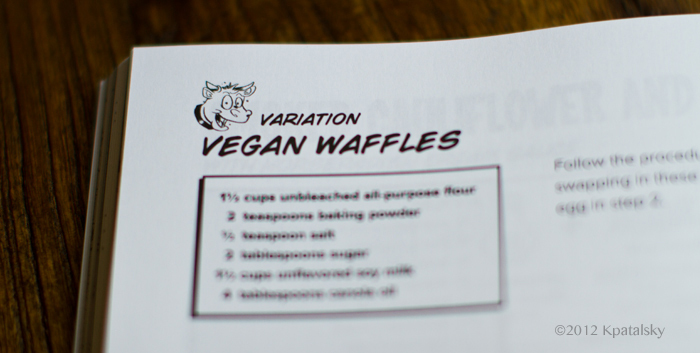 Amanda is a vegetarian chef - so the book is in vegetarian format - but most every recipe can be made vegan - and Amanda sprinkles easy "vegan variations" throughout the book. Paws Pause. 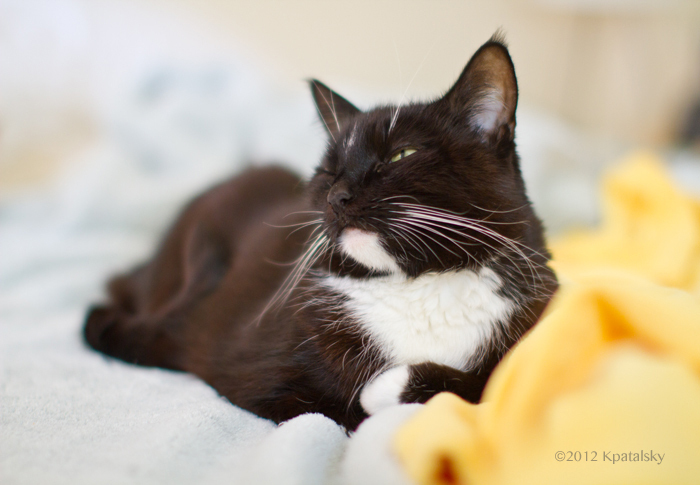 And just because she was so cute today .. a shameless Nelly shot.. The book is published by Crown, Clarkson Potter Publishers and is available in print and an ebook. The print version retails for $19.99. US / $23.99 CAN. OK, so buy the book from amazon or enter my giveaway above! FYI: In case you are curious, this is NOT a paid review. I just love the book and wanted to chat about it. And Amanda was kind enough to provide a free copy to me as well as to one giveaway winner. Please note: All inside-the-book photos are being used with permission.